When removing parts from your car it should be done correctly, safely and with the right tools. 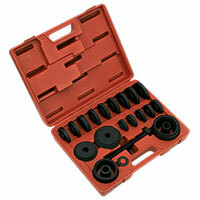 Here at Euro Car Parts we have a wide range of bearing tools, suitable for removing gears, shafts, wheels and bearings. 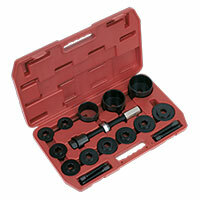 We also have sets of bearing tools available and some of our bearing tool products come complete with a carry case to keep them all together and safe. We have over 190 branches nationwide so take a look at our full range of car part products online or in-store at Euro Car Parts today to improve the performance of your car.